Do you want to study in Canada but have not made up your mind yet? Did you know that Canada is home to some of the top universities in the world. In fact, 26 Canadian institutions of higher learning are ranked among the best. Canada is home to some of the top Universities in the world. In fact, 26 Canadian institutions of higher learning are ranked among the best in the world. The Times Higher Education’s World University rankings for 2016-2017, rank 8 of Canada’s top Universities in the top 200, with 3 of them ranked in the top 50 of the famed rankings. Canada’s best Universities and colleges are known to provide world-class education and compared to the US, Canada also offers cheaper options, simpler application processes, and more opportunities for permanent residence. The University of Toronto, University of British Columbia, McGill University, University of Montreal, University of Alberta, McMaster University, University of Waterloo, and the University of Calgary, are the Canadian Universities that are found in the top 200 respectively. The University of Toronto, University of British Columbia and McGill Universities are ranked in the top 50. A public research University in Ontario, Toronto, and this academically excellent institution of higher learning is held in high regard in the areas of literature, communication, and research. The University is considered the birthplace of Insulin, Stem cell research and the first practice electron microscope. It was Canada first academic publishing house and the first to have a faculty of forestry science in the country. A member of the Association of American Universities outside of the United States, the University has educated four foreign leaders, two Governor Generals of Canada, four Prime Ministers of Canada, and fourteen Justices of The Supreme Court and holds ten Nobel laureates as its affiliates. The University offers over 700 undergraduate and 200 graduate programs across three campuses and the University is one of the best in the field of Medicine. Having a college structured system, the University has 12 colleges that all have different features and history. 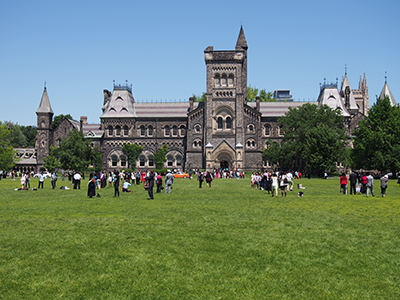 The colleges, while being governed by the University of Toronto, are responsible for their own admissions, scholarship programs and other academic and financial issues. Housing a population of more than 60,000 full-time students with nearly 15 percent of them being International students. The University is very multicultural and has students from all around the world. You can expect a few times week to experience the University campus filling with music melodies as Brazilian students sing and dance with their Fusion of Chinese, Indian and African drum afro beats. One of the most competitive Universities in Canada, UBC, as is commonly known, is a public research University with campuses and facilities in British Columbia, with the main campus in Vancouver. The University houses over 40,000 students and 9000 staff and faculty. UBC encourages student, faculty, and staff to challenge the norm. That bold thinking has helped UBC to push the boundaries and lead in the areas of new ways of entrepreneurship (over 180 companies were created from UBC research), learning and developing ideas that can change the world. UBC also offers an undergraduate program in association with Sciences Po, a higher education institution in Paris. Over 35 percent of students are international, and its alumni includes; 3 Canadian prime ministers, 7 Nobel prize winners, 65 Olympic gold medallist athletes and 69 Rhodes scholars with one Rhodes scholar in the last five years. UBC also does community work in collaboration with the government aimed at providing advanced educational experiences to students. Not less than 68 percent of undergraduate students have to participate in these educational experiences before they graduate. McGill University holds a well-known reputation around the world as an academic institution of high excellence, with an incredible 190 years of education history behind it. The University has 300 buildings in and around its campus, with 400,000 students, of which 25 percent of them international, and over 300 programs of study available. An English Language University located in Montreal, Quebec, the University is also among the 17 most beautiful campuses in the world due to its buildings being constructed with the local limestone that gives it a stunning historic look. It is also known as the first University in the country’s first faculty of medicine and is still held in high esteem in the area of clinical and medical research programs. Of the many Canadian research Universities, McGill has the highest percentage of PhD student graduates and is the only University in Canada that holds a place on the World’s Economic Forum’s Global University Leaders Forum (leaders of 26 of the world’s top universities). In terms of student numbers, the University of Montreal is the second largest in the country with over 50,000 students enrolled. The only Francophone institution on the rankings, with thirteen faculties, over sixty departments, 650 undergraduate programs, and as many as 71 doctoral programs. Ten premiers of Quebec are graduates of the University including government officials, world-renowned business leaders, and many other graduates are noted for their contribution in science research, nuclear power innovations, visual perception, and even quantum cryptography. The University of Montreal attracts a lot of international students due to its diversity and multi-ethnic charm that helps students comfortably integrate. 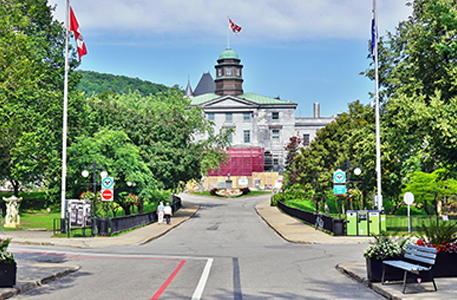 Many scholarships and funding facilities for international students are also offered, and for international students who want to study in Quebec must meet certain requirements, a visitor’s visa and study permit for example. 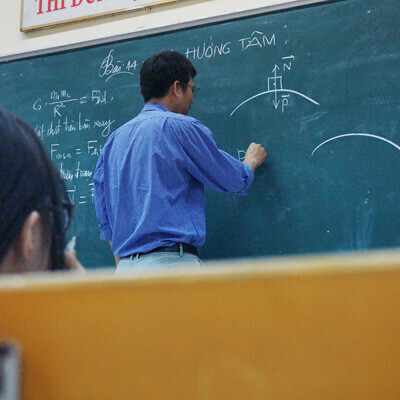 Despite the fact that the University is a French-language University, English speaking students are very much welcome as most of the research departments create a bilingual environment for students in graduate-level programs. Year in year out, many English speaking international students have braved the language barrier to come and study at the University of Montreal, to a very successful end. This is because the University has many tools and programs aimed at improving your French speaking skills. For the University students on the campus, sport is the most popular down time get away, with University teams competing in hockey, badminton, and Canadian football. In the next post, we shall look at the other top ranking Canadian Universities that have made it into the top 200 of the Times Higher Education World University rankings for 2016-2017. Find out which other Canadian universities made the ranking in part 2 of our list HERE.